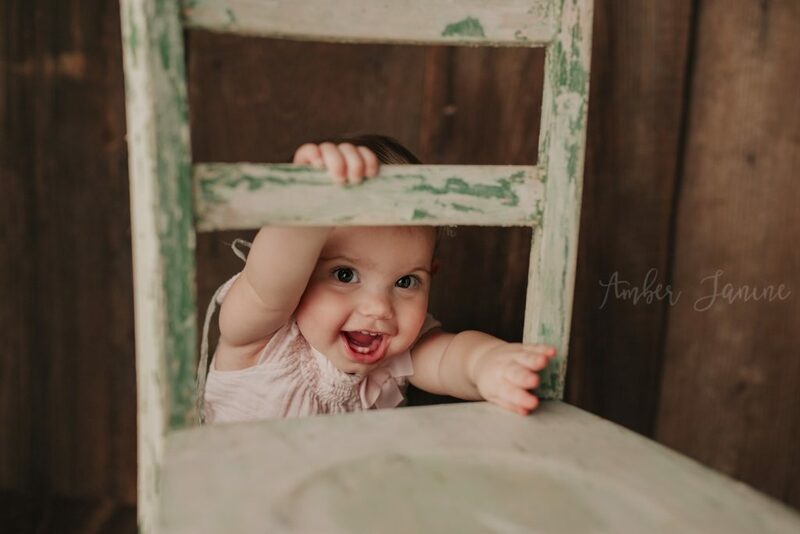 I absolutely loved photographing Adelaide for her first year of life. 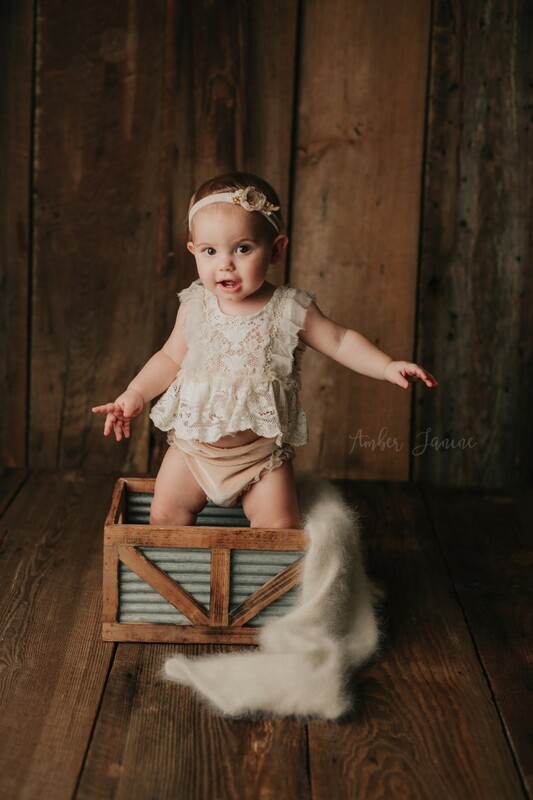 this was her 5th session with me in 1 year as she was one of my baby plan babies! 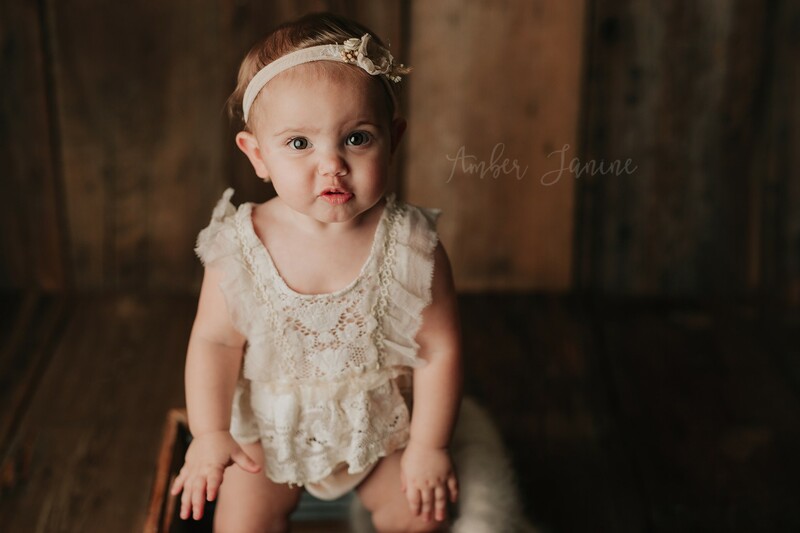 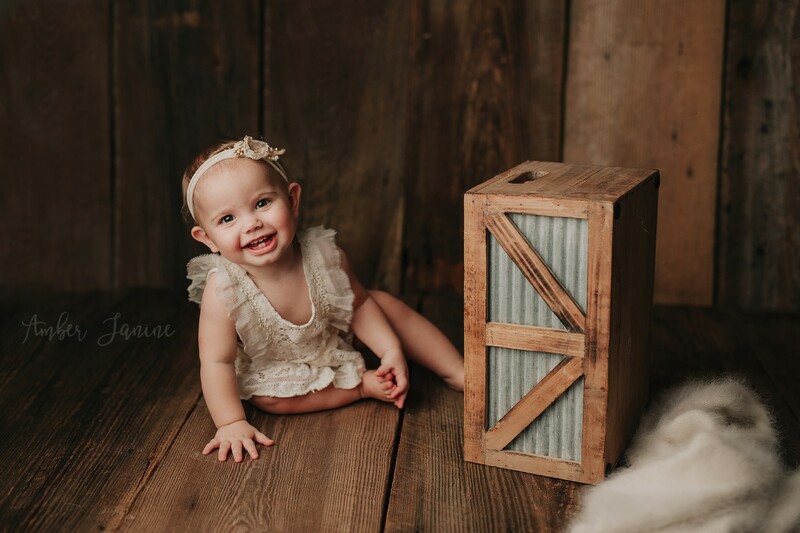 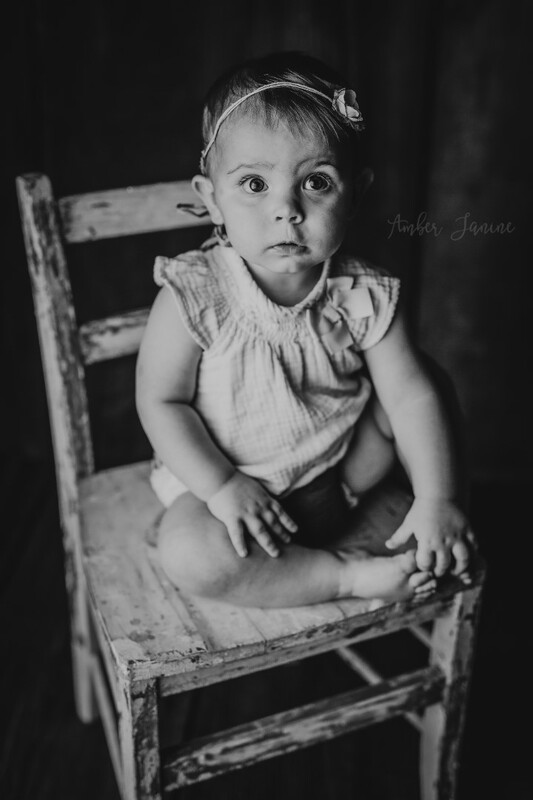 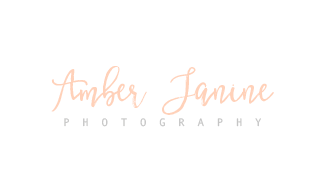 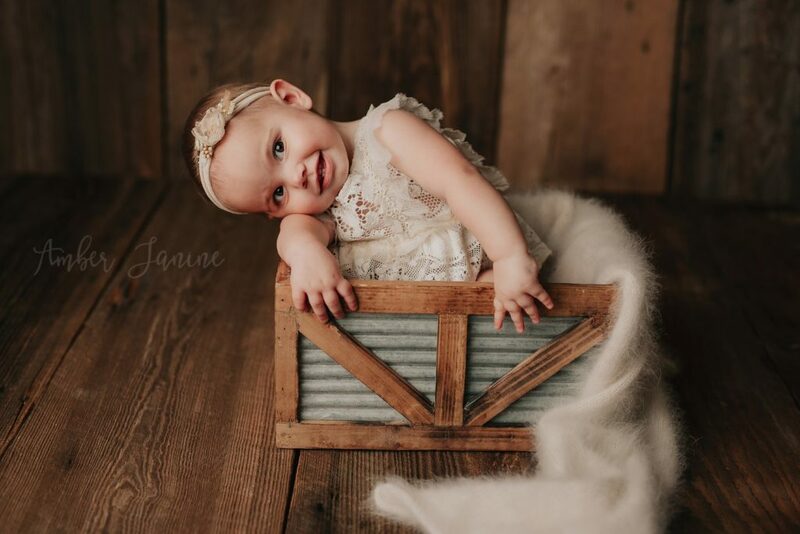 Did you know Amber Janine Photography offers a special plan for those who want to document the milestones of baby’s first year of life? 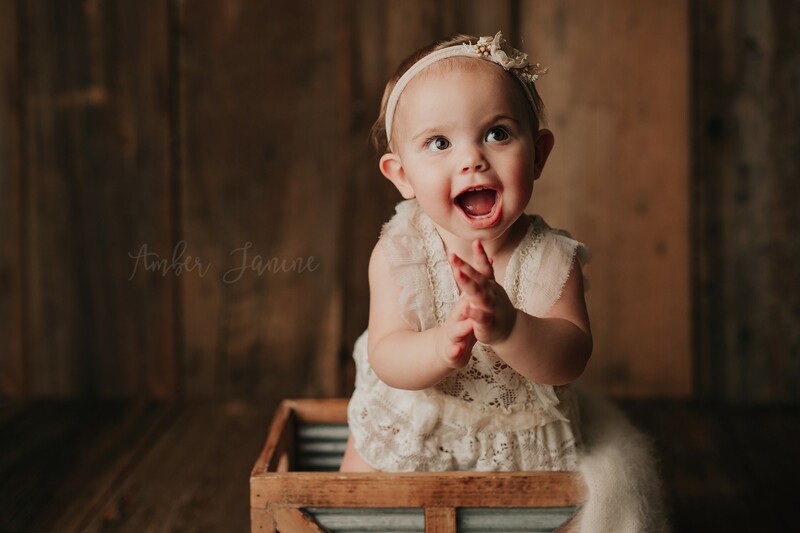 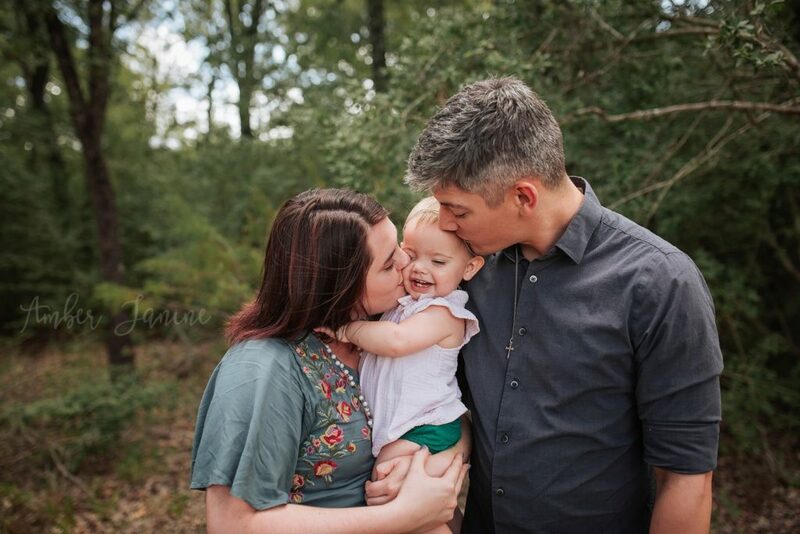 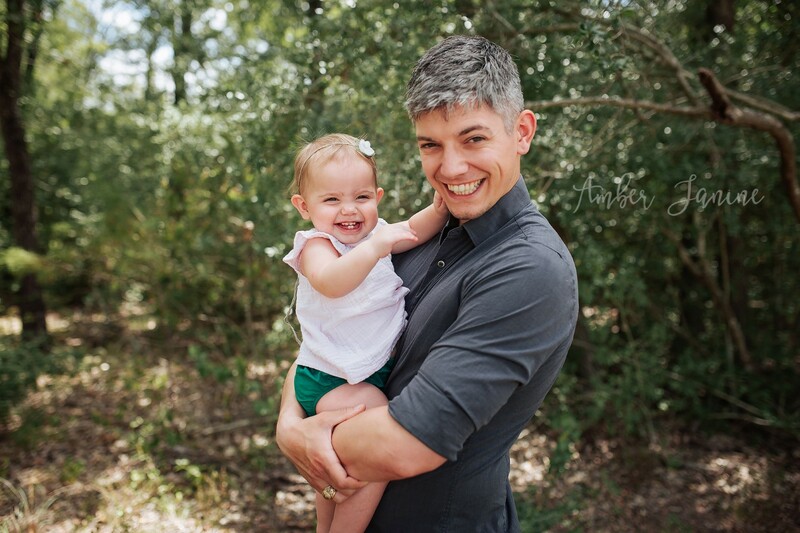 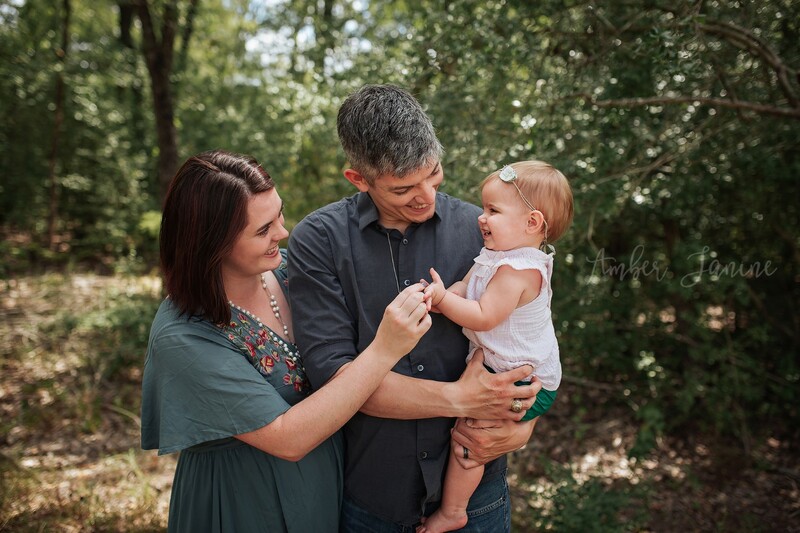 Many of my 1 year milestone sessions include a cake smash but Adelaide’s mom preferred a few images of the 3 of them as a family instead as Dad is out of town for work often so of course, I obliged! 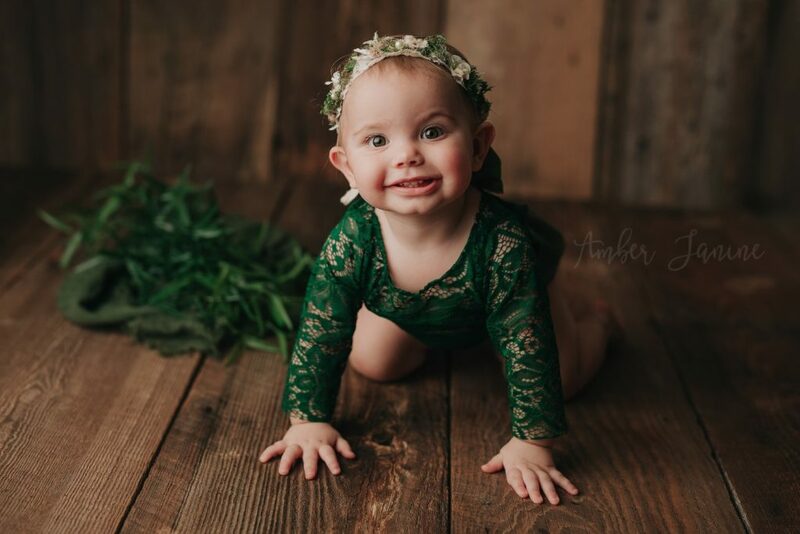 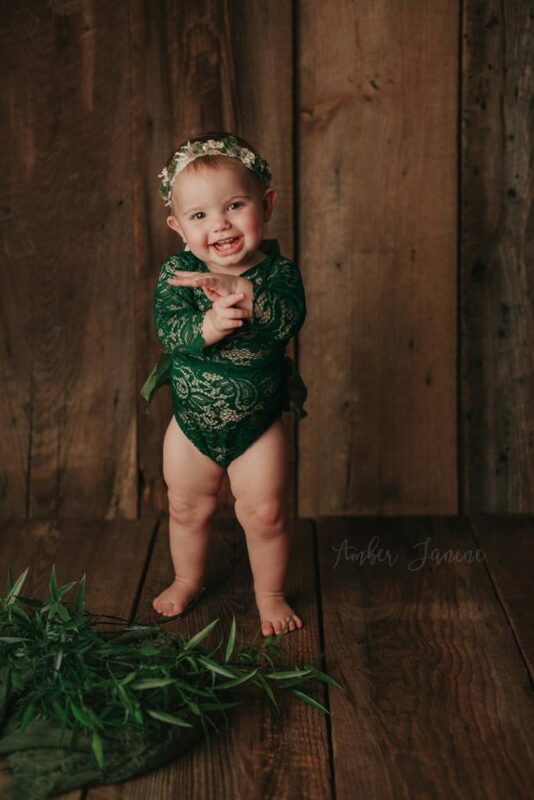 Miss Adelaide looked amazing in this green romper from Cora and Violet, didn’t she? All milestone sessions include access to my client wardrobe filled with so many gorgeous hand made and custom outfits for your sweet babies. 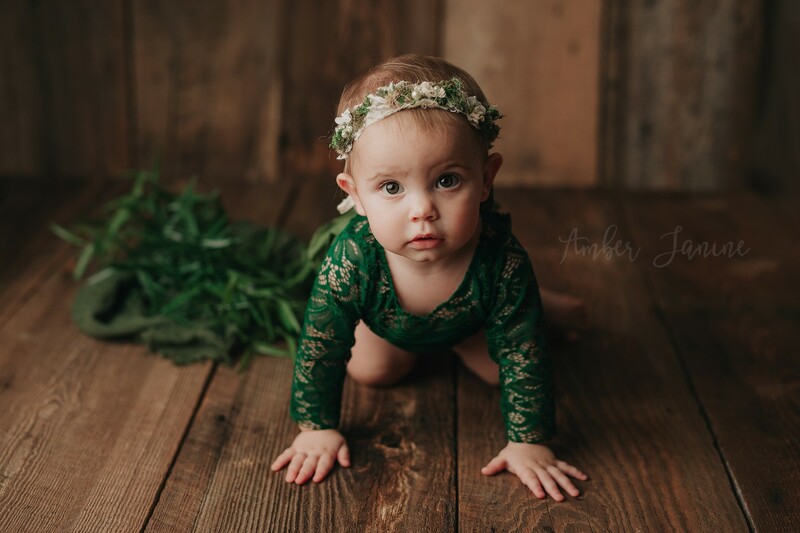 This setup was one we used to document Adelaide’s growth throughout the year by using the same prop and wrap at each session. 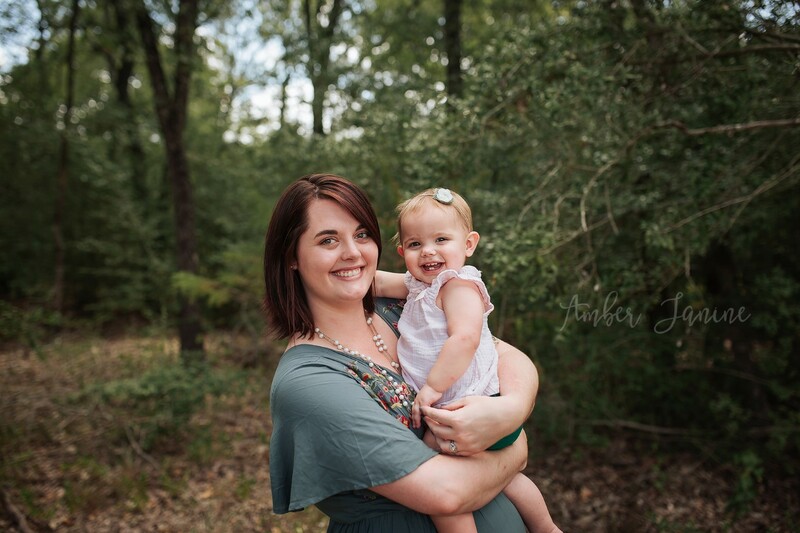 Scroll to the bottom to see the side by side comparisons! 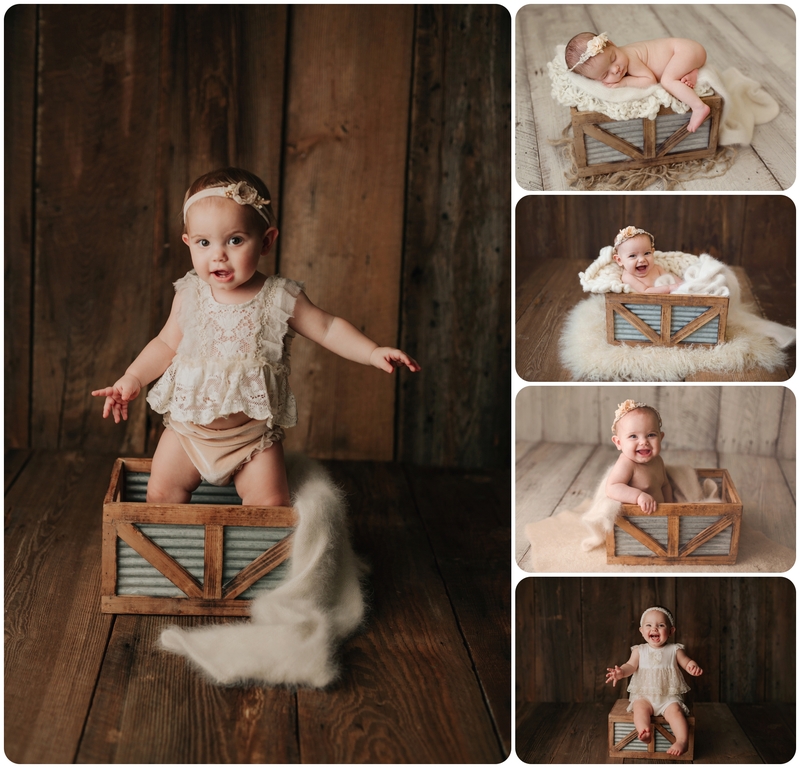 If you are interested in having a baby photography session, contact me for more information!